British citizen Andargachew Tsege, facing a death sentence in Ethiopia for spurious terrorism charges, has been moved from a secret detention centre in Ethiopia to a notorious federal prison in the African nation's capital, VICE News can exclusively reveal. Longtime democracy campaigner Tsege has now been captive for more than a year without access to lawyers, family or consular assistance, after being kidnapped at a Yemen airport by Ethiopian officials. 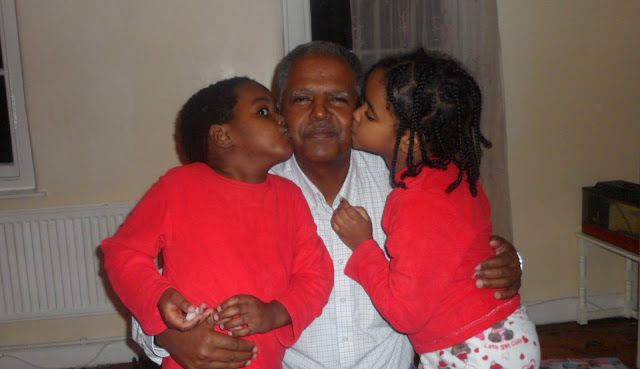 The 60-year-old father of three fled Ethiopia's military regime as a student activist in 1979 and became a political refugee in the UK. He later founded opposition group Ginbot 7 in 2005, which was classified by the Ethiopian government as a terrorist organization. In 2009 the government accused Ginbot 7 of organizing a failed coup and sentenced Tsege to death in absentia, in a trial "lacking in basic elements of due process," according to American diplomatic observers. Last year, Ethiopian agents seized Tsege at Sanaa Airport in Yemen. He has remained in solitary confinement since then, in an unknown location until the recent move. The legal charity Reprieve, based in London, has taken up his case. The democracy activist's family believe that the UK's close strategic alliance with Ethiopia means that an innocent man could end up being sacrificed on the geo-political altar. Despite criticizing Ethiopia for its human rights violations and its lack of civil liberties and democratic processes — the ruling EPRDF party won all 546 parliamentary seats in a May national elections criticized for alleged fraud — Western governments enjoy close security cooperation with Ethiopia, particularly regarding the "War on Terror," where its troops are fighting al Shabaab Islamist militants in Somalia. Maya Foa, the director of Reprieve's death penalty team, picked up on this political alliance when she told VICE News that, although Tsege is a British citizen who was kidnapped unlawfully and who has been subjected to probable torture, the British government has "not made a single request to the Ethiopian authorities to have Andy returned home to his family in the United Kingdom" — though it has lobbied for him to be afforded his basic rights. "The British government is definitely not championing him and that is heart-breaking for us," Tsege's partner Yemi Hailemariam told VICE News. This disappointment in the British government was heightened recently when Yemi discovered that Tobias Ellwood, an FCO minister, had been in Ethiopia on 16 and 17 August for talks on South Sudan but had failed to raise Tsege's case with any of his Ethiopian counterparts. In a letter to Yemi, Ellwood said that he was "not able to meet Ethiopian Government representatives and so did not have an opportunity to raise Andargachew's continued detention." In a separate letter to Reprieve, Ellwood did not even mention that he has just got back from Ethiopia. Officials at the UK's Foreign and Commonwealth Office (FCO) know they are treading a fine line. On the one hand, they must lobby for better treatment for a British citizen. On the other hand, they do not want to jeopardize an alliance deemed strategically important. "The UK and Ethiopia have a deep and long-standing bilateral relationship covering many areas of shared concern, so it's important that further progress is made on this issue so those ties aren't affected," an FCO spokesman told VICE News. There are signs, though, that Tsege's continued illegal detention is causing a fraying of the Anglo-Ethiopian relationship. "The Foreign Secretary has raised this case on 17 separate occasions, most recently on August 8. We will continue to lobby at all levels for regular access to Mr Tsege, and for his family in the UK to be able to visit him", the FCO spokesman said. In June, a frustration with the progress that was being made on the case and the intransigence of Ethiopian government officials prompted the foreign secretary, Philip Hammond, to issue the British government's strongest statement on Andy Tsege's case. "I spoke to Foreign Minister Tedros this afternoon and made clear that Ethiopia's failure to grant our repeated and basic requests is not acceptable. I informed Dr. Tedros that the lack of progress risks undermining the UK's much valued bilateral relationship with Ethiopia", Hammond said. Yemi said she welcomed the statement but that Tobias Ellwood's recent failure to lobby on her partner's behalf had left her feeling "really, really disappointed — particularly as he had met us personally." When asked about her partner's situation, Yemi says, "nothing has changed." She is terrified that, even if he is ever released, "Andy will have been too traumatized by his time in prison." Following a recent meeting, the UK ambassador to Ethiopia noted that Yemi's partner had "no spare weight on him." Tsege told the ambassador that he still has no idea what charges he's facing, if any. The FCO told VICE News that Tsege's move to the Kality federal prison in Addis Adaba was a "welcome development", but whether it really represents an improvement is debatable. Amnesty International has referred to Kality as a "gulag," while the Swedish journalists Martin Schibbye and Johan Persson, who were imprisoned there for trying to report on the conflict in the Ethiopian region of Ogaden, said that conditions reminded a number of their fellow prisoners of paintings of the cramped bowels of 18th century slave ships. Kality is also, as Schibbye and Persson reported in their book 438 Days, a hotbed of government spying in which inmates feel unable to say anything for fear they will be taken away. For Maya Foa of Reprieve, the situation Andy Tsege is facing and the British government's refusal to demand for his release is a "stain on Britain's reputation and a travesty of justice. The British government must change its position and take immediate steps to bring Andy back before it's too late." Sitting in Kality prison, Tsege is a reminder that the fate of individuals falls victim to the strategies of nation states. Yemi, who feels as though she has been banging her head against a brick wall trying to secure the release of her partner, has begun to feel "more and more like a conspiracy theorist, more and more like an anarchist", as she tries to navigate the world of international politics. Her daughter, Helawit Hailemariam, just won a Liberty award for co-developing a play about her father's incarceration. "I wish I didn't have to receive this," she told her mother.